The New York State Office of Parks, Recreation and Historic Preservation announce permits on sale beginning January 1 for the upcoming 2017 season. Many permits for the upcoming 2017 season for on sale, beginning Jan. 1, 2017. Photo by: Hans Andersen, via Free Images. Babylon, NY - December 20, 2016 - The New York State Office of Parks, Recreation and Historic Preservation is pleased to announce that the following permits will be on sale beginning, January 1 for the upcoming 2017 season. Permits are only sold January 1 – March 31 and the Tuesday after Labor Day - December 31. 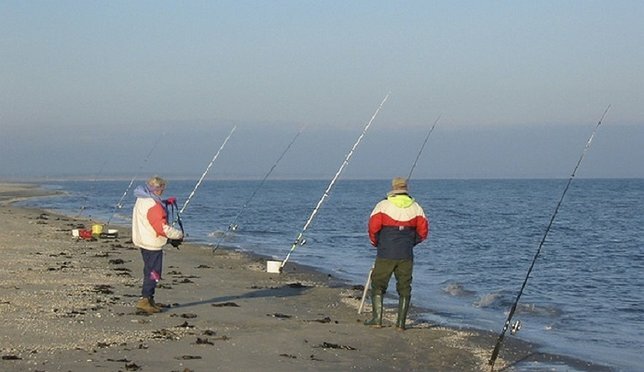 Permit is valid for fishing after sunset only at Camp Hero State Park, April 1 - December 31. Fee of $65.00, $110-Out of State, Vehicle Registration and Divers Certification card required. Permit is sold year round at Babylon Headquarters - Permit Office. Permit is valid April 1 - December 31, hours vary. Permit is valid for fishing at Caumsett Fisherman’s parking lot, April 1 - December 31. The New York State Office of Parks, Recreation and Historic Preservation oversees 180 state parks and 35 historic sites, which are visited by 65 million people annually. A recent study found that New York State Parks generates $1.9 billion in economic activity annually and supports 20,000 jobs. For more information on any of these recreation areas, call 518-474-0456 or visit www.nysparks.com. Subject: LongIsland.com - Your Name sent you Article details of "Upcoming Long Island State Park Permits for 2017 Season"